In 1st Grade, the children have been learning about the concept of sound in Science. The students discussed common animals, machines, and objects that make sound. They also used cups with rubber bands and flat sticks to produce sound. The children practiced sound discrimination by listening to the sounds that objects make when dropped. To do this, they played a sound game where one partner dropped an object behind a screen and the other partner had to guess what the object was based on the sound. 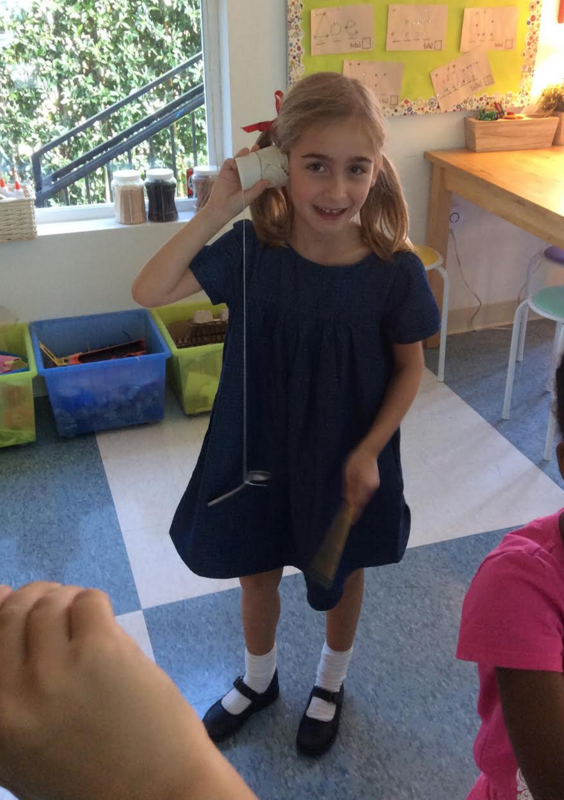 Our 1st Grade scientists also investigated two sound systems: a one string guitar and a xylophone. Using these systems, the children learned about volume and pitch. The students made spoon-gong systems to review their understanding hot to produce sound and how to change volume and pitch.